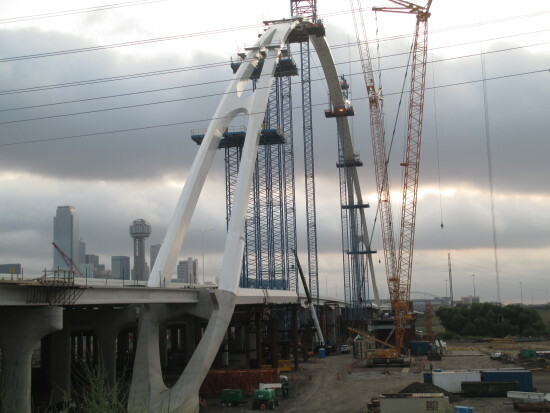 An important milestone for what is set to be Dallas’ newest landmark was just reached as the first arch of Santiago Calatrava‘s Margaret McDermott Bridges project was completed in late August. Currently, the Eastbound Bridge Arch rises 275 feet above Interstate 30 and the project is due to be completed during the summer of 2017. The last arch piece, which was lifted roughly 28 stories on August 22, is approximately 1,024 feet long and weighs about 200 tons. The news is a boost for locals who eagerly anticipate its completion as it will provide pedestrian, cycle and car access to both sides. Costing a total of $113 million, the bridges barely take a chunk out of the $798 million Horseshoe project which looks to solve the city’s infrastructure needs and traffic flow to the heart of Dallas’ downtown. 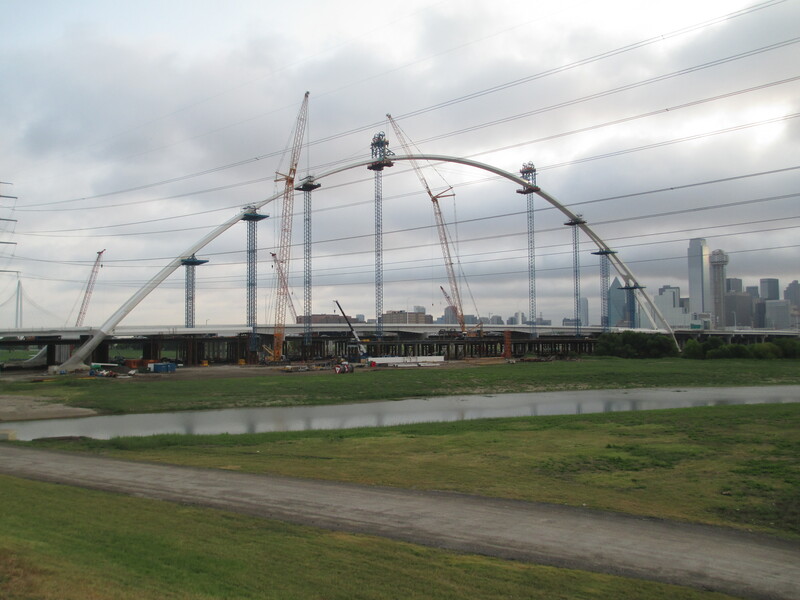 For the entire duration of construction of the Margaret McDermott Bridge, Interstate 30 main lines have remained open.